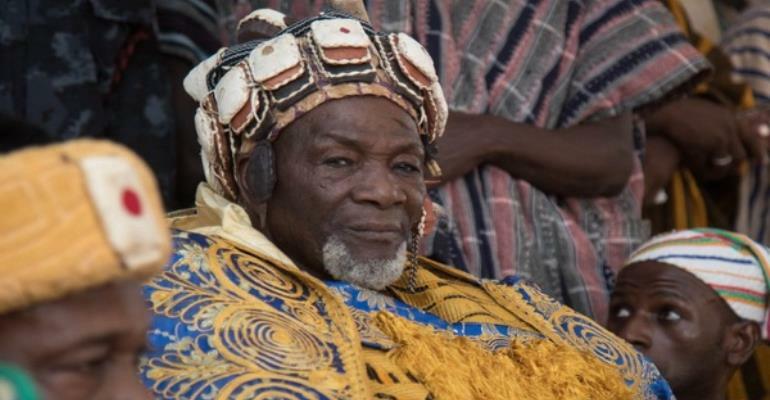 Tension is brewing in the Nanton District of the Northern Region over the enskinment of Muhammadu Baba Bawa as the new Nanton Naa by the overlord of Dagbon, Ya-Naa Abukari Mahama II. Some youth in the area last night went on rampage, destroying properties and disturbing public peace. They blocked roads and set tyres on fire to register their dissatisfaction with the enskinment of Muhammadu Baba Bawa as the new Nanton Naa. They threatened to resist any attempt to bring the newly enskinned Nanton Naa to the area. Information gathered indicates that Nanton is predominantly an Abudu area, but the newly enskinned Nanton Naa is an Andani. Many are of the view that the Ya-Naa wants to interchange the chiefs under him to unify Abudus and Andanis in Dagbon. Daily Guide gathered that security personnel have been deployed to the area to maintain law and order. The newly enskinned Nanton Naa will succeed the late Nanton Naa Sulley Alhassan, who ruled Nanton since 1987. Nanton Naa Bawa was the regent of Savelugu between 1997 and 2000 and became the chief of Kpano under the traditional title Kpan-Naa Bawa from 2000 to 2012. In 2012, the then Kpan-Naa Bawa became the chief of Voggu, a town in the Kumbungu District until his new title Nanton Naa. Nanton Naa was a member of Council of State representing Northern Region between 2009 and 2017 and a spokesperson of the Andani Royal Family at the Manhyia Mediation Committee.